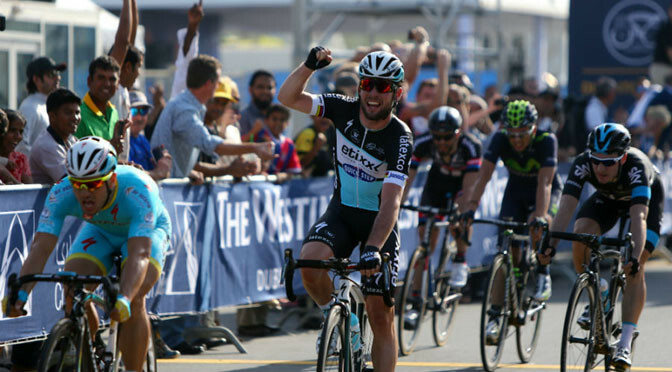 Cavendish, cycling for Etixx-Quick Step, pipped Italians Andrea Guardini, of Astana, and Team Sky’s Elia Viviani, to the end of the 90-mile route from the Dubai International Marine Club to the Union House Flag. The win follows the Briton’s victory at the Tour de San Luis in Argentina last week. “I’m super happy with my form and the cohesion between Etixx-Quick Step,” he said. “We really rode strong as a team in Argentina and we rode really well as a team in Dubai today. All winter I was happy. “At training camp it was such a strong ambiance. We knew we’d start off on a good note this season. We won more than 60 races last year and we want to try and or better than this year. Meanwhile, fellow Briton Lizzie Armitstead was third on stage two of the women’s Tour of Qatar to sit second overall.